For Canadian residents, the Canada Pension Plan (CPP) and Old Age Security (OAS) can be indispensable contributions to their retirement income. However, these two sources of income may not be enough to fully cover a senior’s expenses. Here are a few simple ways older adults can supplement their CPP and OAS income. The Guaranteed Income Supplement (GIS) benefit is available to seniors who are Canadian residents and have an income that falls below the program’s thresholds. The allowed income level varies based on marital status and whether the aging adult’s partner is already a recipient. Receiving additional income is not the only way older adults can enhance their quality of life. If you have a senior loved one who needs help maintaining a high quality of life while aging in place, reach out to Home Care Assistance, a leading provider of home care Winnipeg families can rely on. All of our caregivers are bonded, licensed, and insured, there are no hidden fees, and we never ask our clients to sign long-term contracts. Many Canadian seniors qualify for the Disability Tax Credit (DTC) but fail to take advantage of it. These credits are given to people with disabilities as well as their caregivers, and your loved one may be eligible for retroactive tax credits if he or she failed to apply for the credit in the past. Your parent may qualify for DTC if he or she is blind or requires life-sustaining therapy. These credits are also given to people who are markedly restricted in one basic activity of daily living or significantly restricted in two of those activities. Eligible conditions include diabetes, Crohn’s Disease, Alzheimer’s, and hearing loss. Seniors with serious health issues may require assistance with several activities. If your aging loved one needs occasional help with bathing, grooming, cooking, or other basic household tasks, or if you need time to attend to important personal matters, reach out to Home Care Assistance, a leading provider of live-in and respite care. Winnipeg seniors can maintain their independence while living at home with the help of our reliable respite caregivers. The Allowance for the Survivor is available for people between the ages of 60 and 64 whose spouse or partner is deceased. To be eligible, your loved one must also meet the income requirements and be currently residing in Canada. There are several ways older adults can live off their savings. 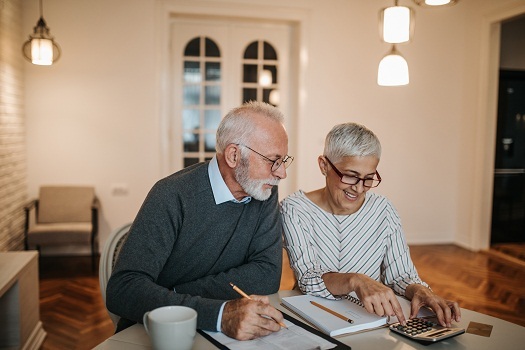 Older adults should consider investing in Registered Retired Income Funds (RRIFs), which don’t tax growing investments as long as they remain in the plan. However, the money withdrawn ever year is taxable. Annuities are another common way for Canadian seniors to convert their savings into income. By selecting an annuity, your loved one receives a guaranteed, unchanging monthly income for the annuity’s term. There are term certain annuities, which provide income on a monthly basis for a specific amount of time, and there are life annuities, which provide monthly income until the death of the annuity holder. While life annuities offer more consistency, the unused money is not returned to annuity holder’s estate once he or she dies. Investments are another popular means of living off retirement savings. Many investments produce regular income streams. Some Canadian seniors opt for bonds, which pay a set interest at quarterly or annual intervals. Others choose to invest in dividend-paying stocks, which pay out a set dividend to their investors. Guaranteed Investment Certificates (GICs) are one of the safest methods of income-generating investments. These certificates are for a set term, and the holders receive a fixed rate of interest throughout the duration of this term. Before making investments, make sure your loved one is aware of the risks and informed about the tax requirements. Older adults living with serious health issues may need more than just additional income to age in place safely and comfortably. If your senior loved one has been diagnosed with a serious condition and needs help with tasks like meal prep, transportation, bathing, and grooming, reach out to Home Care Assistance, a leading provider of senior home care Winnipeg, MB, families can trust. We also offer comprehensive care for seniors with dementia, Alzheimer’s, and Parkinson’s. To talk to one of our competent Care Managers, give us a call at (204) 489 6000 today. How Do Aging Adults Benefit from Being Outside?